Hardly the ideal photographic lighting conditions, with the sun virtually behind the train, but it does show off the recently cleared cutting at Lower Wick to advantage. 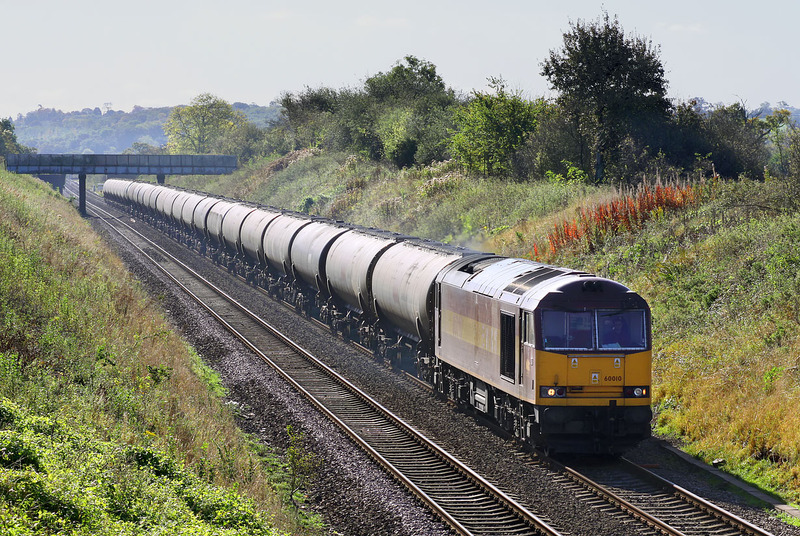 60010 heads north with the 6E41 10:42 Westerleigh to Lindsey oil empties on 12 October 2009. Note the change of gradient under the footbridge in the background.